A simple and easy to make dal and vegetables curry that can be easily cooked and is nutritious too. Sometimes you are so tired of the sambar, rasam, and all the spicy curries and crave for simple and mild dishes, or on days that I am super busy and cannot bother to make two different things, I go for this one. Goes well with rice as well as roti. 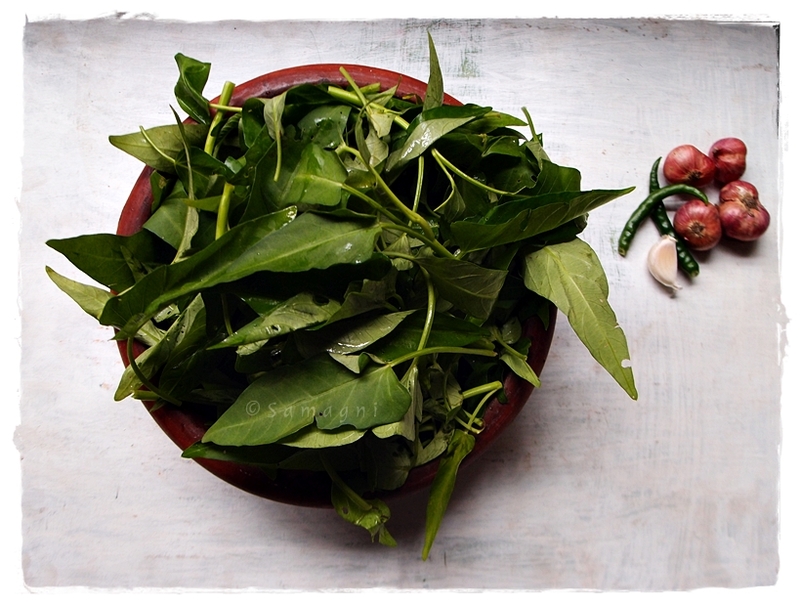 It is very similar to the koottu curry that is a part of the Kerala sadya, but much more simpler. Remove the peels of the vegetables, wash and clean them, and cut into small cubes. Wash the tur dal 2-3 times in water. Pressure cook the tur dal and cut vegetables along with a cup of water and 1/4 tsp turmeric powder and the required amount of salt. 1-2 whistles would do. Meanwhile, grind the grated coconut, jeera, black peppercorns along with few tbsp of water that is required to grind the mixture well. You may use green chilies instead of black peppercorns. Make a smooth paste and set aside. After opening the pressure cooker lid and ensuring that the vegetables and dal and are cooked well, add the ground coconut, jeera and pepper mixture to the cooked vegetables and dal. Mix well well and bring to boil. Adjust salt if required. When the dal and vegetables and coconut mixture bubbles well, turn off the fire, add a teaspoon of coconut oil for flavor and add a sprig of curry leaves. 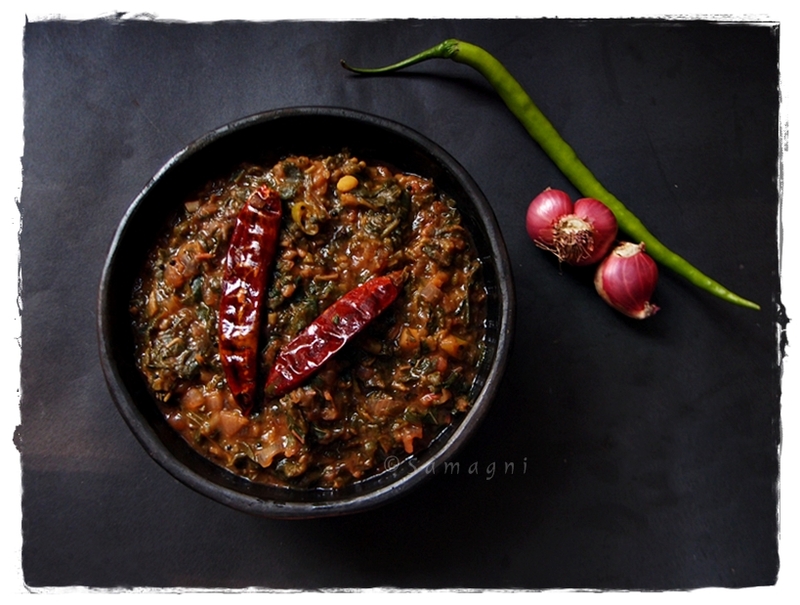 Aromatic and flavorful dal and vegetables is ready. 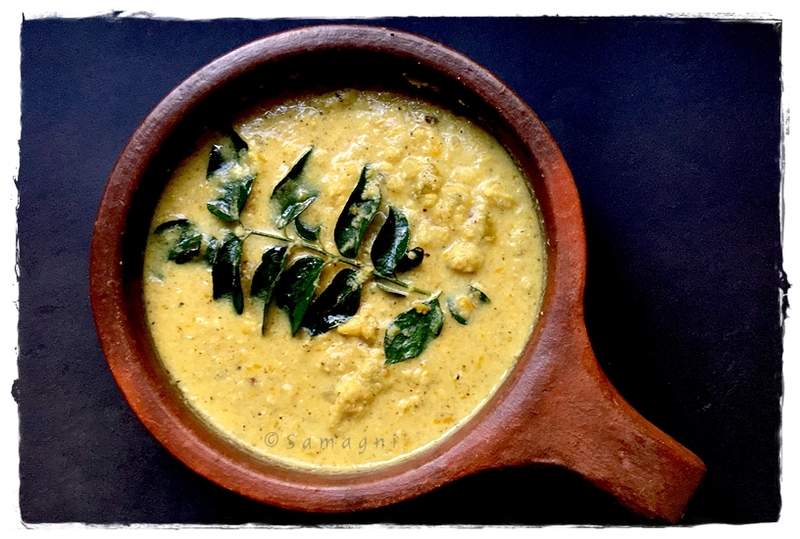 A dal cooked along with simple and minimal spices, a very good side dish for dosa and idli. 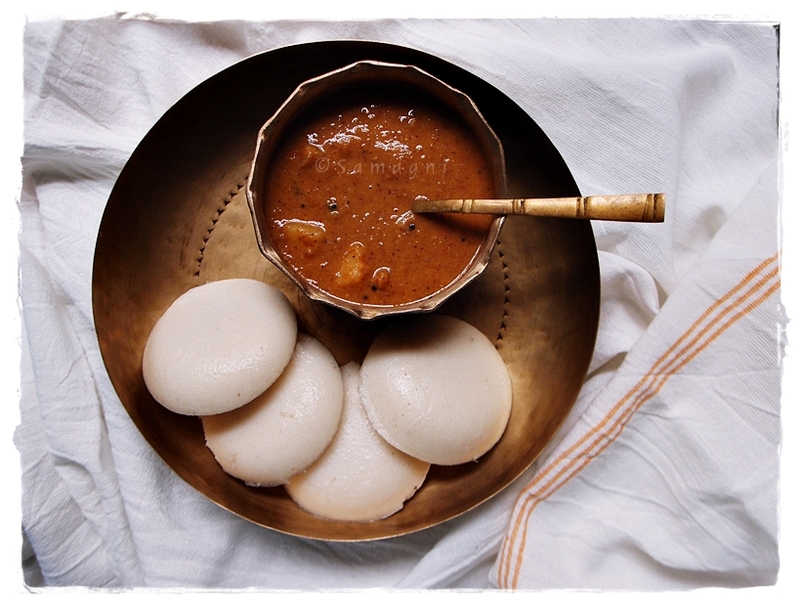 When you are bored of sambar and chutneys along with idli and dosa, make this occasionally. Supplements you with good protein for your breakfast. This koottan (curry) is a family specialty. My mother makes it even on her father’s death anniversary because apparently my grandpa used to love this curry along with idli. The fragrance of the roasted mung dal and roasted coriander seeds is the dominant flavors of this curry. Dry roast mung dal in an iron wok until the raw smell goes away and the dal turns red. Keep aside. Clean, peel, and dice the potatoes into cubes. Keep aside. Peel the shallots. Keep aside. Pressure cook the diced potatoes and mung dal (in separate vessels). For every cup of mung dal, add twice the amount of water for pressure cooking. While the dal is getting cooked, in a wok, add 1/4 tsp oil. Add coriander seeds and dry red chilies and saute until you get the roasted smell of coriander seeds. Be careful not to burn them. Slow roasting is better. Just before you turn off the fire, add grated coconut. Once the roasted mixture cools down, grind the roasted mixture along with the shallots to make a fine paste. You may add small quantities of water. In a wok, add the pressure cooked mung dal and cooked potatoes along with turmeric powder and salt. When the dal and potatoes start boiling, add the ground paste. Bring to boil. Adjust water and salt to desired levels. The consistency can be that of dal that is served along with rice. In a small pan, heat a teaspoon of oil and add mustard seeds. When the seeds crackle, add curry leaves and pour this into the boiling dal. Mildly spiced cheru parippu koottan is ready to be served along with idli or dosa.